AMD needs to step out from Intel’s shadow and it looks like it may finally be ready to do it. AMD (s arm) is prepping an event ahead of the ARM developer conference next week and the smart money is on AMD taking another ARM license to pop ARM-based chips in servers. The ARM license has been hotly debated internally at AMD all of this year, but after failing to buy into mobile five years ago, to miss the ARM revolution in servers would be suicide for the struggling chipmaker. With the PC market dwindling, AMD has little choice but to look elsewhere, and servers might be its saving grace. While it’s a tough overall economic environment for chipmakers, Intel’s third quarter financial results from last week show that the data center is at least still a growing market. Intel reported that its PC revenue was $8.6 billion, down 8 percent year-over-year while its data center group revenue was $2.7 billion up 6 percent year-over-year. Yes, that’s a smaller base compared with PCs, but it’s still growing. On Monday afternoon, AMD sent out an email inviting reporters to an event featuring CEO Rory Read, Lisa Su, senior vice president and head of AMD’s global business units, and a “special guest.” Given that ARM is hosting is developer conference in Santa Clara, Calif. that week, and that AMD’s invite notes that this meeting will involve discussion of its “ambidextrous strategy,” I’m hoping that it is finally biting the bullet and taking a higher-level ARM license that will give it the ability to design chips for servers — something I predicted it would do back in February when it purchased SeaMicro. AMD has already started tiptoeing down this path with the creation of the Heterogeneous Systems Architecture Foundation back in June. It joined up with ARM to create an organization that will bring heterogeneous computing — i.e., computing that doesn’t just use x86-based chips — to the mainstream. It also has licensed a lower-end ARM-based core for use in security. So taking it further with the license of a Cortex A15, or higher-end server-capable chip, isn’t going to shock investors at this point. It may even hearten them. 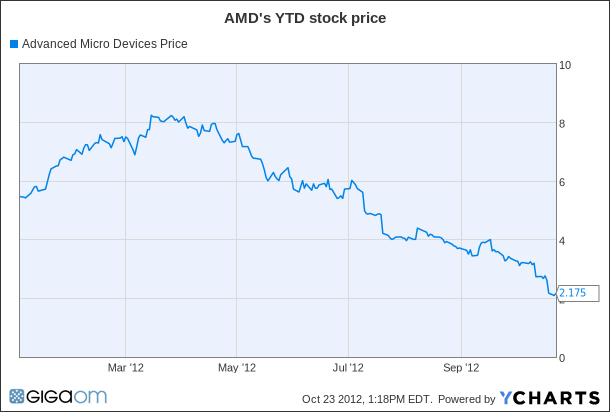 AMD has a history of innovation that has been stymied by Intel (s intc) and its own execution troubles; sometimes both. AMD brought 64-bit computing to the x86-based architecture in desktops and servers, introduced its HyperTransport technology to improve scaling of multiple cores ahead of Intel and even foresaw the importance of graphics chips for both consumer and corporate computing back in 2006 when it purchased ATI. Unfortunately it also failed to go big in mobile. AMD did purchase Alchemy, a low-power MIPS-based chip company back in 2002 as part of mobile bid, but in 2006, it got out of that business. In a similar vein, Intel has its own ARM-based Xscale unit during that time that it later sold to Marvel. But even after the launch of the iPhone and netbooks (remember netbooks?) AMD stuck to its plan to steer clear of mobile computing. And that was a huge mistake. AMD recently said it would lay off about 15 percent of its staff, and also reported lower-than-expected sales. Some of the blame can be laid on AMD for not embracing mobile, but there’s a larger upheaval occurring in the chip sector where industry segments that were once clearly delineated have begun to merge (like smartphones and computers) while the hegemony of the x86 architecture with its two primary competitors has waned. So there’s competition between more players and more architectures across a wider spectrum of devices. It’s happening clearly in consumer devices, but it is about to happen in servers. At this point, AMD has — with its SeaMicro purchase — systems design expertise and IP to use an ARM-based chip inside a server built for cloud computing and big data jobs. It has credible x86-based processors as well as GPU-based systems designed for high performance computing. Bringing in an ARM license and experienced ARM engineers means AMD could build machines that mix and match the most popular architectures for different styles of computing. Yes, it will compete with many more players than Intel: already Marvell, Cavium, Calxeda and other chip companies are targeting specialized chips for the server market. 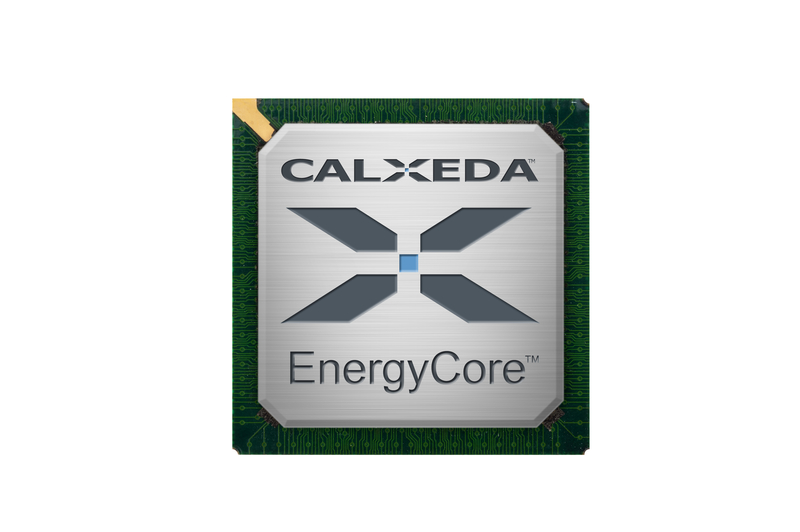 Just last week Calxeda launched a roadmap that brings 64-bit ARM-based computing to servers in 2014, and says it will have ARM servers in production environments by the end of the year, while other vendors such as HP and Dell are launching ARM-based servers. I expect more news at the ARM conference next week, but the momentum around the technology is clear. After years of dithering, it’s time for AMD to bet it all on heterogeneous compute, even when it comes to its server business. Will it be enough? Let me see if I got this right: we’re talking about the same AMD that for years played a second tier to intel (over 25+ years), with no more than 15-20% x86 market share, and no other major players to contend with – and yet they struggled despite, AMD’s wonderful innovations. Now what makes you think they have a chance with a bigger pool of formidable players. I’m rooting for AMD, but they had their chances, and I hope I’m wrong. Hey, I think Stacey is pretty fair. She has been passionate about reporting on the dynamics of the industry that is leading to alternative technology approaches to solving the problem. ARM is in the mix (and I don’t think that 32, 3GHz 64-bit cores is that crappy but I am biased as I run the ARM server program. Besides, it is less about the core, it is about the technology that silicon companies integrate alongside the processor core) but they are other options including Intel themselves. She covers those. Stacey, I have got your back! Stacey, all you think is ARM ARM ARM everywhere. It’s a crappy core when it comes to performance. Think outside the box sometimes. Dont stick your head in only one place. Right answer, but suggest a different approach. They have already laid 1 bet with SeaMicro – build integrated systems. I think its best to focus on that and continue to build that business out. Its incremental from technology. It will help build the sales and customer as it can sell them at better margin than Dell and HP. Around 2015, its quite likely that one or many of these ARM will be living dead. Once the system business has a run rate of >$1B, its time to pick one of the ARM living dead and build out as its going to take till then for the Intel/ARM slug fest to clear. The infrastructure market is also going vertical (like what has happened in the consumer side).